Here we go. Artemis is going to die. They will make her cool. You all are going to get over her not being Wonder Girl or Arrowette and then...they are going to kill her. Now I’m going to follow that with what Geoff Johns said at the DC Nation Panel. 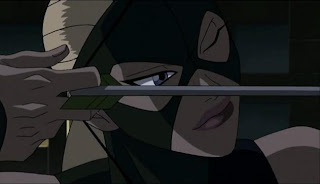 When asked why it was Artemis and not a Wonder Girl in the Young Justice cartoon he said, “They had a story they wanted to tell, and it was not a Wonder Girl story, but they do have plans for WG and Arrowette.” Thanks to Kelson from speedforce.org for live blogging the panel BTW. So we know that the two characters Artemis resembles are going to be used eventually in the cartoon. We know that someone is dying. To me, this screams of the situation the Justice League team ran into when they did the episode Legends. 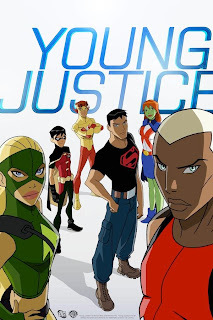 The cartoon wanted to use the JSA but the plot of that episode would have turned out that they were all dead. 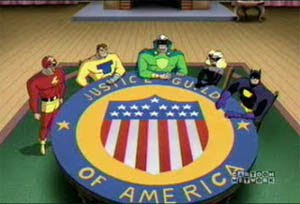 DC wasn’t too thrilled with the idea so the cartoon created the Justice Guild. They looked just enough like their JSA counterpart that you knew who it was supposed to be. Now we have a new cartoon promising death, and a completely new character whith no comic counterpart. 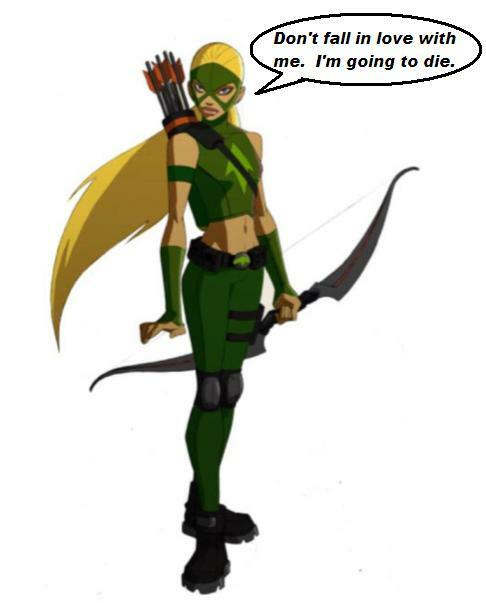 Artemis is going to die. I could be totally wrong of course, but at this point only time will tell. Now, I know:why does she hate her while she hasn't been introdused yet? Easy, she is a substite for my fave young justice hero, Wonder Girl. Plus, cool heroes come from cool outfits, is that a good outfit? Oh, and, congratz. Cool story. I would've never come up with such a good superstition. Nooooooooooooooooo Artemis can't diiiiiieeeeeeee!!! I love her and Wally; she can't die then we'd have to listen to "Hello Megan" 24/7; noooooooooooooooooooo!! !